It was a blast that turned the nation’s financial center into a bloody war zone. On September 16, 1920, as hundreds of Wall Street workers headed out for lunch, a horse-drawn cart packed with dynamite exploded in front of Morgan Bank — the world’s most powerful banking institution. When the smoke cleared, 38 were dead and hundreds more were seriously injured. 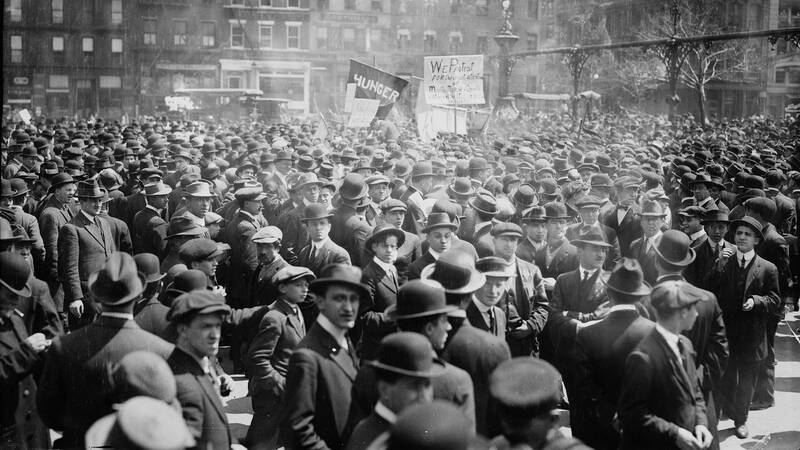 As financial institutions around the country went on high alert, many wondered if this was the strike against American capitalism that radical agitators had threatened for so long. A mostly forgotten act of terror that remains unsolved today, the bombing helped launch the career of a young J. Edgar Hoover and sparked a bitter national debate about how far the government should go to protect the nation from acts of political violence. Based on Beverly Gage’s The Day Wall Street Exploded: A Story of America in its First Age of Terror, The Bombing of Wall Streetis executive produced by Mark Samels, written and directed by Susan Bellows, and produced by Michael Rossi and Susan Bellows. It premieres on American Experience on Panhandle PBS at 8 p.m. Tuesday.